Gab is a Philadelphia, Pennsylvania-based social networking service formerly based in Austin, Texas. It was created as an alternative to Twitter and promotes itself as supporting free speech. It allows its users to read and write messages of up to 300 characters, called “gabs.” The site also offers multimedia functionality. Gab has been described as a platform for white supremacists and the alt-right. 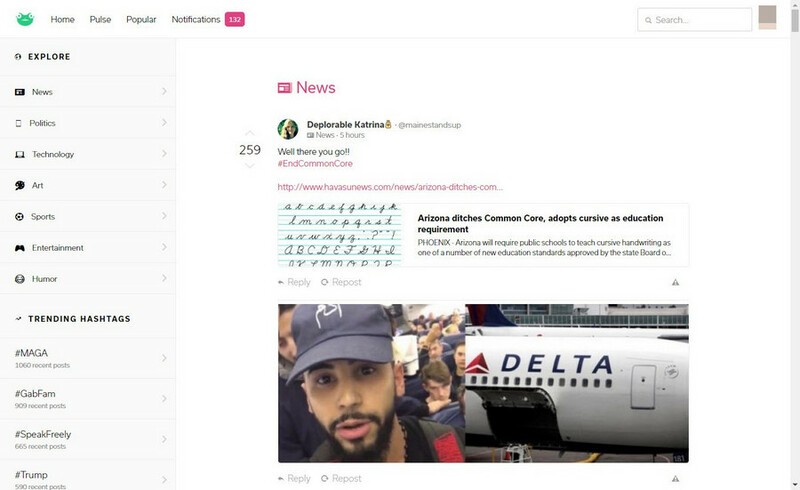 Gab’s color theme is a minimalist combination of black text on white panels with pink hashtags and usernames. Pro users have a contrasted top bar in the dark blue closer to that of Facebook. The interface “behaves like a Twitter-Reddit hybrid,” displaying messages in a Twitter-like vertically-scrolling timeline format with a Reddit-like option to upvote or downvote each post. The site also aggregates favorite posts and trending topic hashtags. 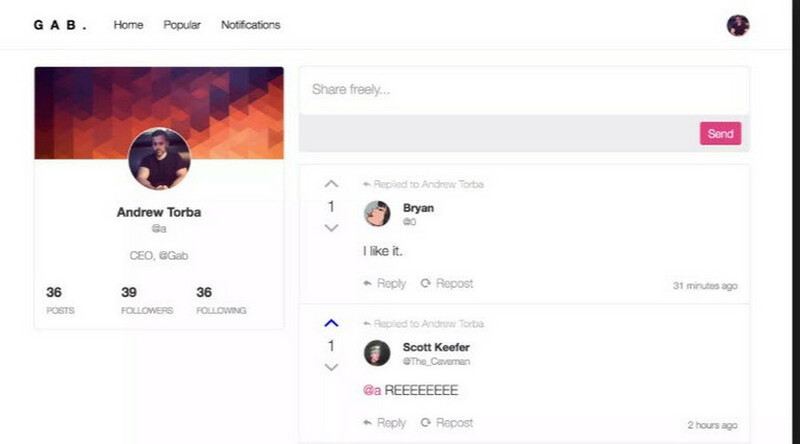 Users can sort comments and posts on a subject by time or score. Default biographies for new users display a randomly chosen quotation about the importance of free speech.